If you are tired ( like most people by now) of hearing about Apple iPhones and Samsung Galaxies, you may be in the market for a new smartphone that is neither of these. Maybe you wouldn’t mind having an Apple or a Samsung, but you need to find something a little more affordable to fit your budget. Either way, HTC’s latest announcement might excite you a little. The Taiwanese smartphone manufacturer just announced that they are releasing a 4-inch Android powered smartphone to be named the ‘Desire U’. The mid-range smartphone will initially be launched on the Taiwan market. The retail asking price is expected to land somewhere in the $275 range. 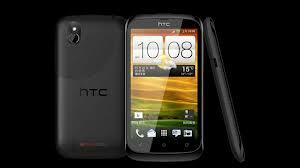 Reports say that the new HTC smartphone will sport a 1GHz processor and an expandable 4GB of storage space. Other specs for the HTC Desire U includes 512 MB of RAM and a 480 x 800 (WVGA) display. The new HTC smartphone runs on a 1650mAh battery. The design, quite obviously, is very reminiscent of the HTC One. It sports a plastic body with HTC’s signature rounded corners, making the phone housing look oddly familiar and a lot like every other HTC smartphone. HTC is also busy in other areas of the smartphone industry. The Taiwanese smartphone giant is currently prepping to announce one of its first high-end smartphones, referred to as the M7 smartphone. The important announcement is expected to take place during the ‘Mobile World Congress’ event, sometime in the coming month of February. This announcement is especially important to HTC as it is the first high-end smartphone that the have marketed so far. Would you purchase an HTC Desire U smartphone when it makes its way to the US? Are you looking forward to the high-end HTC M7 smartphone announcement? Let us know how you feel about HTC’s market activity in the comment section below!